Leyla Lanty - Hear the Music BE the Music! Look for the $5 button at the right of the page. Combine this CD with 2 others in the $5 bin, pay $5 each. Current online price for "Habibi, You Are My...WHAT?! Essential Arabic for Dancers - Volume 1 is $19.99. Tannourine Restaurant in San Mateo, CA! heard, learned there while it was happening. piece composed by Hassan Abou el Seoud. Check out Leyla's Shadow of the Sphinx Tour Page for upcoming tours. understand music much better kudos Leyla!!!" CD - "This is one of the most beautifully arranged and produced CDs of Arabic music I have heard. good stuff. I've been playing it practically continuously since it arrived." Seoud featuring the sensational voice of Khalil Abboud. 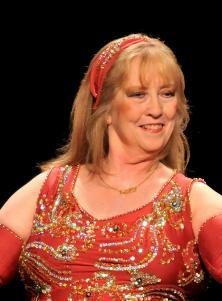 Middle Eastern Culture and Dance Association. touches as well as their fine dancing.